At OCS we are working on a new project. 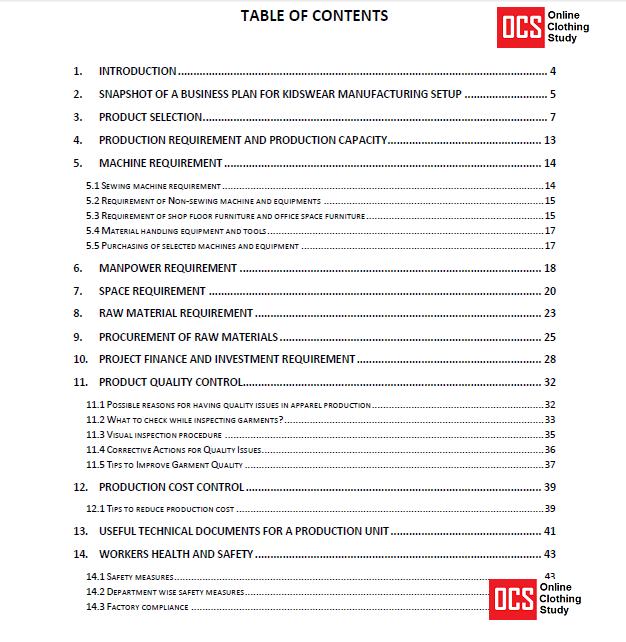 We will be publishing project reports and guides for setting up small and medium scale garment manufacturing unit. These guides would help interested individuals to understand man, machine and material requirement; space requirement and more information for setting up a garment manufacturing business. 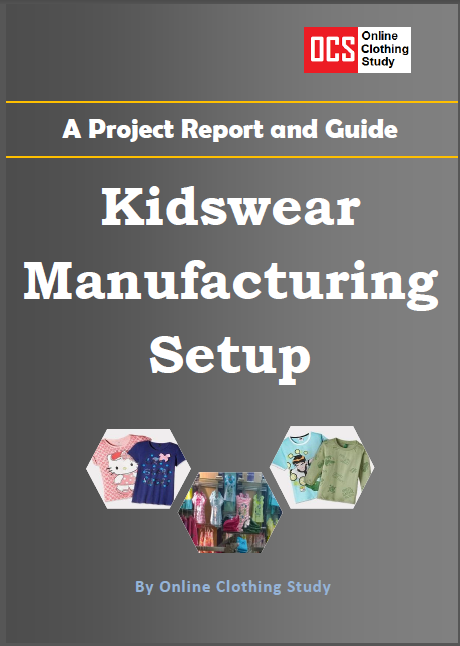 The publication is titled as A project report and guide: kidswear manufacturing set up. See the cover page of this report below. This one is a project report and guide for beginners interested in setting up garment manufacturing business in children wear segment. We have made many project reports as well as prepared financial budget for the project on setting up apparel manufacturing business including kids wear manufacturing setup. 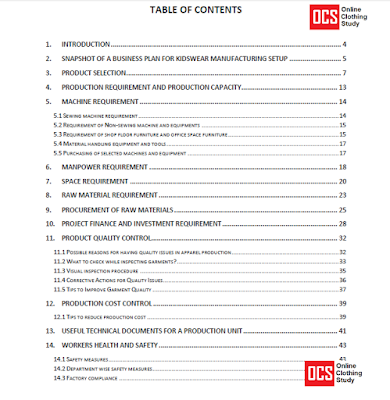 This project report covered project requirements, project guides and financial estimation. See the project report content page below. In this report we have shown financial requirement of a typical project. You may need customized report. So, with this project report we are giving free Excel template for preparing investment requirement for your project. With this excel template you can see budget requirement with various combination of machines and manpower. Make a purchase of this publication. A project report and guide on children wear manufacturing set up.